When I received this from Brian, I knew I had to share it with my readers! It’s been far too long since I’ve posted, but this is worth it – the return of breakfast at Brian’s Stockton outpost, Bistro Rouget. If you’ve ever tried to get a great breakfast in this area, you know it can be a challenge. There’s the Hidden Gem – Duck Soup Cafe, and the not-so-secret local’s place, Fred’s Breakfast, and a handful of others. But when it comes to a place that makes you think “I simply must take my friends when they visit,” you’d be hard pressed to name one. Until now. Bistro Rouget in Stockton, NJ, has garnered accolades for their amazing Monday prix-fixe meals which always fill up, and we’ve begged Brian to bring back breakfast, which we enjoyed when he first opened the Bistro. No, enjoyed doesn’t do it justice. 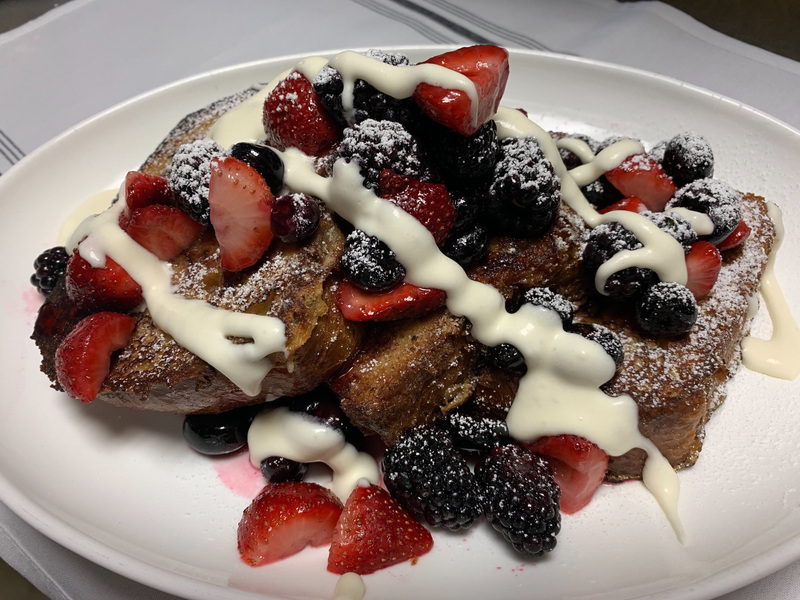 His brioche French toast, pictured below, was the best I’ve ever had. And the other items our guests (aunt and cousin who had just traveled from Japan) had, were similarly amazing. All I can say beyond this is go there soon, before Brian changes his mind and stops serving breakfast! This is wonderful to know Ted, I have not bee to any that you suggest, but will be sure to give it a try !